Get your tournament shooting fix with Nic Taylor as he runs through the Epic 3 Gun course, which aims to include the widest possible array of experiences in a single match. If you enjoy sport shooting even relatively casually, you can't help but feel the thrill of this truly epic course as Wide Open Spaces shooting video contributor Nic Taylor (NicTaylor00 on Facebook) runs through it. Will he succeed in hitting all the targets with each of the three guns? The video above documents stage 1, but the Epic 3 Gun contest is actually so epic that it includes a total of five stages.  If you're jonesin' for even more epic sport shooting footage, check out the Wide Open Spaces shooting media library. If you are interested in learning more about Epic 3 Gun, you can check out their website here. Shooters local to Texas may have a shot (no pun intended) at entering one of their competitions or even attending simply as a spectator. On the other hand, if you're interested in learning more about Nic Taylor, he is a worthwhile follow for any sportsman or woman. He also shares hunting-oriented videos under his second account, TexasNative00.